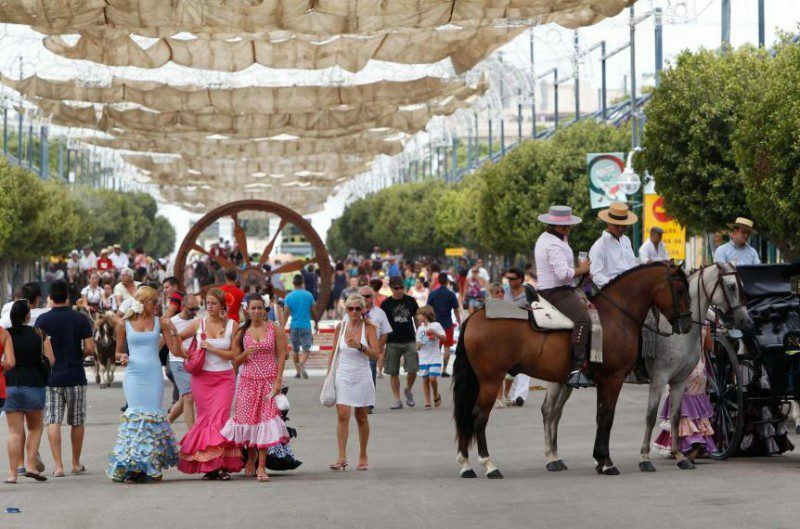 The Feria de Málaga is one of the most lively and popular and attracts every year a large number of local and foreign visitors who enjoy a lot of music, dancing and well-chilled Cartojal wine to combat the high temperatures. The Malaga Fair officially begins with fireworks at midnight from Friday 10 to Saturday, August 11, 2018. Gibralfaro (centre): Whoever climbs the Monte Gibralfaro Parador will have a privileged view over the whole city, although you won´t be not alone, since this place is one of the most frequented points of the city to see the fireworks. El Palmeral and Pier One (centre): Its proximity to the place where the fireworks are launched, makes the port a place chosen by many to see them without losing a detail. One of the drawbacks is that you must stand. La Coracha (centre): The south hill of the Alcazaba has similar views at a lower altitude than the Gibralfaro and has the convenience of being closer to the centre and the fireworks. Playa de la Malagueta (centre): Here usually take place the inaugural concerts after the pyrotechnic show. It is a very popular place, especially for young people. La Farola Lighthouse (centre): From this enclave the fireworks look as good as from the port or the beach of Misericordia, but here we can also enjoy beautiful night views of the city. A boat: It is one of the less frequent but more attractive possibilities. If you have the possibility of embarking that night, don´t hesitate. You will be one of the few privileged to see fireworks from another perspective. Hotel terraces: One of the sought-after places are the terraces of different establishments in the centre of Malaga, especially hotels, as for example, the Hotel AC Málaga Palacio, the Hotel Valeria and the Hotel Larios Room Mate. Where does the Malaga Fair 2018 take place? The Malaga Fair during the day is held in the Historic Centre until 6 pm and at night in the Cortijo de Torres fairgrounds. The fairgrounds are also the setting for the traditional horse and carriage ride. 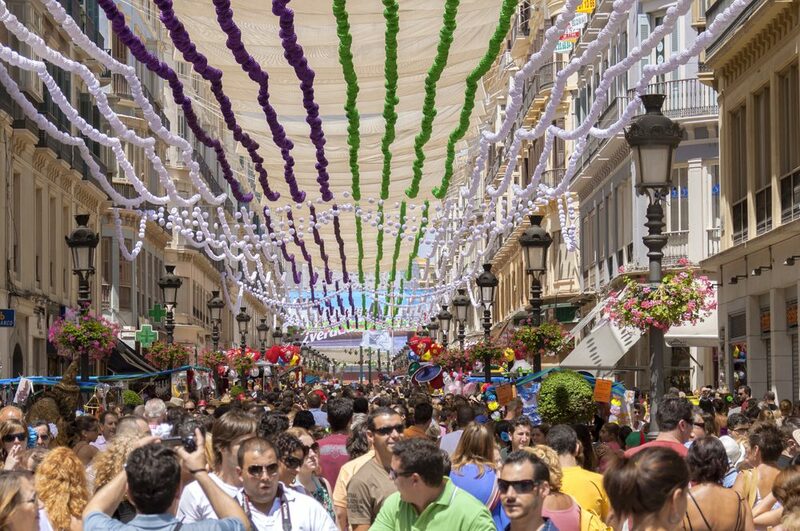 At the Day Fair during the day – Plaza de la Constitución, Calle Larios and various streets of the Historic Centre – the main protagonists are the traditional dances and songs and there is a spectacular atmosphere of thousands of people dancing and having fun in the streets. The typical drink is the Cartojal wine that is served well-chilled. In the Fairground, on the contrary, the horses, the booths, more music and dance take centre stage as well as the typical fairs attractions from the afternoon and throughout the night until dawn. 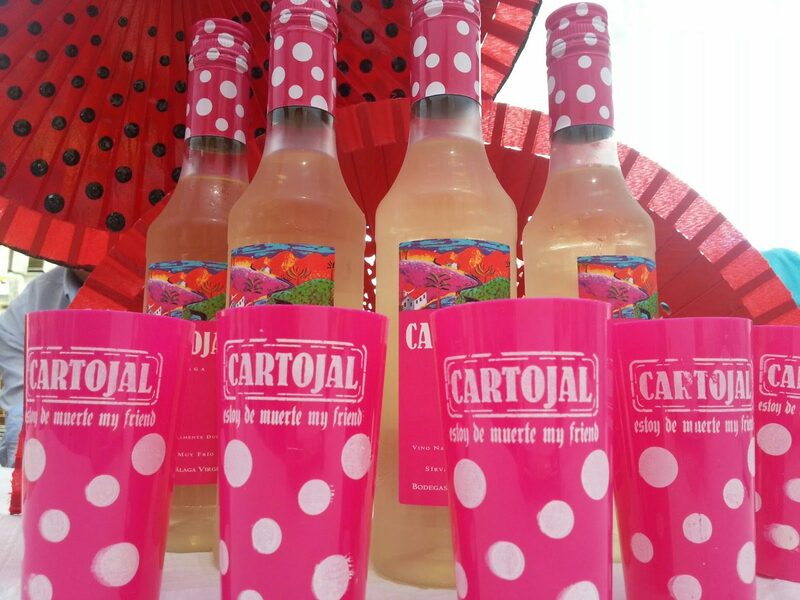 Cartojal is a delicious sweet, fresh and tasty wine, made with grapes from the Moscatel de Alejandría variety. It is the typical wine of the Malaga Fair and it is recommended to serve it at a temperature of 6ºC – 8ºC. It is made by Bodegas Málaga Virgen, and it is produced in the Axarquía region, at Finca Vista Hermosa (Fuente Piedra) and if you like it, you can buy it throughout the year. The Malaga Fair has very good connections, parking lots, city buses, taxis, subways and suburban trains.